Standing out from the crowd on Instagram is essential. We share our top tips to help your business to attract thousands of followers and build your brand to gain more customers on this very successful social media network. Instagram is one of the biggest success stories of recent times and it’s one of the best apps for creating and sharing artistic photos. If you are not familiar with Instagram let us first explain what it is and how you can use it to promote your business. If you like taking pictures on your smartphone then you are not alone. Most of us have smartphones these days, so that is good news when it comes to sharing your photos with the world. Instagram is a service that enables you to apply a digital filter or effect to photos taken on your mobile device, and upload them on the Internet. Once uploaded, your photos can be shared among other Instagram users and other social networks, such as Facebook and Twitter. The whole process of taking, editing and sharing photos is done through Instagram’s easy-to-use app, which is free from Apple’s App Store and on Android phones through Google Play. Since it launched in 2010, Instagram’s popularity has rocketed to more than 300 million active users. If you have been active on Facebook during that time, you’ve probably seen photos posted by friends with Instagram’s image manipulating filters applied to them. It is no exaggeration to say Instagram is an app that everybody who uses social media is talking about. Facebook saw Instagram’s potential and famously paid a cool $1 billion to acquire it in 2012. With the might of the king of social networks behind it, Instagram has added the ability to share videos. We can all expect many more features soon. The coolest thing about Instagram is its selection of filters. Take a photo, then add a filter to give it an instant retro chic feel. Although it is true that other apps offer many more filters than Instagram, but it is still head and shoulders ahead of them because of the quality of the filters, not the quantity. Each of the filters transforms the feel of your photos, from low-fi retro effects to stunning black and white options. Each one of them has been carefully crafted to give striking results. Instagram is exceptionally easy to use. What makes so cool is that you can just point your smartphone and shoot. In just a few taps you’ll have a stunning photo to share with the world. Don’t be fooled into thinking this is just a simple camera app. Taking a photo is just the beginning. Instagram is all about community, with a strong ethos of sharing your creations with your friends, both old and new. Snaps are posted to the Instagram website and optionally shared to Facebook, Flickr, Twitter and Tumblr at the same time. If your phone has GPS, you can add your current location to your snaps, and check in on Foursquare. For excellent examples of what people are posting with Instagram – and for inspiration, check out http://blog.instagram. One of the best regular posts is ‘The Week on Instagram’, a snapshot of Instagram users’ recent creations. Clicking on a photo enables you to ‘heart’ that photo, similar to liking something on Facebook – and to comment on it. Photos can be given a hashtag, much like Twitter, which enables people to find photos about specific topics. There are also complimentary apps that expand Instagram’s functionality. These include Instamap, which enables you to find photos based on their location or hashtag, and see the results on a map. Instagram now has over 300 million Instagrammers who post 70 million photos and videos – every day. 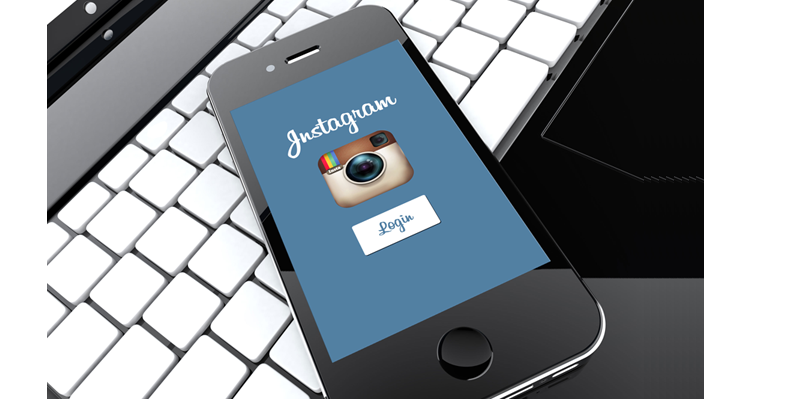 With those sorts of figures isn’t it time your business or brand had an Instagram presence? And if you do, how can you be heard among the crowd? Instagram can be likened to a visual form of Twitter. You are communicating your brand values and business mission with images instead of words. Determine your visual personality first. Think about your audience. Who are your trying to engage with? How does your audience use Instagram, and who do they follow? It’s very easy to find out. Before you set up an official page for your business, search for hashtagged images relating to your company or product. It’s likely that your keenest customers will have posted their own pictures of your products. Learn from this. Following these unofficial ambassadors tells them that you have arrived and your business is now on Instagram. Comment on appropriate photos, and use the hashtag yourself. You will soon see an influx of followers, all eager to get to know you. Cross-reference your feed from your newsletter, and post Instagram images direct to Facebook, particularly if your audience is greater in these places. Competitions and giveaways are great for driving traffic to your feed. Set the rules to increase follower numbers, frequent hashtag use and to grow engagement. There are plenty of simple tricks and online photography tutorials to help your images stand out from the crowd. Create drama and contrast with lighting, backgrounds and unusual composition. As well as Instagram’s own filters, try doodle apps such as Phonto and A Beautiful Mess, filter apps such as Afterlight and VSCO Cam and collage apps such as Diptic. Brands and businesses whose images really stand out are the ones with added value. Doodle the name of the product, a hashtag, or a question over your photo to entice followers to interact. Re-use photography you have already paid for product shots, screen grabs and packaging images are an ideal way to vary your feed. Draw inspiration from the calendar. There are many holidays and celebrations throughout the year that will make for great content. Why not pick some the more unusual festivals as well to differentiate your business from your competitors. Your location could provide a rich seam of inspiration. British brands for example, who are looking for overseas success might capitalise on iconic geographical locations those shores to have to offer. Video is perfect for a brand selling products that move. Events in action, behind the scenes clips and new design ideas can provide perfect little ‘day-in-the-life’ snapshots of your company. Involve your staff as well. Topshop, for example, has more than a million Instagram followers and it regularly features designers, personal shoppers and store staff. Hashtags don’t necessarily increase engagement on Instagram, particularly not for top brands. However, smaller businesses can make clever use of them. When carefully selected, hashtags can get images in front of people searching for a product. It pays to research those used by your followers and competitors. Asking questions tells followers that you are open to dialogue, making your business seem accessible and friendly. When followers answer your questions or comment on your posts, always respond. Don’t ignore them. Acknowledging customers encourages longer discussions and deeper interaction. If you are serious about making an impact on Instagram and want to learn how to engage potential clients even more, you can read social media research. For example, visual analytics company, Curalate, analysed 8 million images to determine the properties of those images that generated the most likes on Instagram. They reported that blue images received 24 per cent more likes than red or orange ones, and images dominant in one colour gain 40 per cent more likes. Lighter photos were 24 per cent more popular than darker ones. Highly textured photos are 80 per cent more liked that flatter images, while those with lots of background space won 29 per cent more likes than their closely cropped equivalents. You can monitor success by using sites such as SimplyMeasured.com which offers free, basic reports to help you decipher the highs and lows of your activity. This is just one of many tools that can help you to measure your success. The key is to keep talking, monitoring and improving. Your efforts will pay off. The result will be a popular and talked about Instagram feed that will provide significant positive results for your brand. As with all social media marketing campaigns, running an Instagram account is time consuming and requites patience and consistency. This is easier said than done, particularly if you are already run a successful offline bricks and mortar business. A number of small business owners have come to the conclusion that it makes more sense to outsource their social media marketing to companies like ours, who are experts within the field of social media marketing. If this is something that you would like to know more about, please don’t hesitate to contact us and we will be happy to show you how we can help. Post regularly, at least daily if you can. Cultivate your audience by researching their likes and dislikes, as well as keeping tabs on your competitors. Like carefully chosen hashtags to encourage dialogue. Acknowledge comments to keep the conversation going. Blue is the most popular colour, while reds and oranges or least popular. Lower the saturation levels in your photos by using filters such as Walden and Rose or third party filter apps such as VSCO Cam, and take advantage of natural light. Textured images prove popular, as do those with plenty of background space. Closely cropped images are less liked. Share images from your Instagram feed on Facebook, and upload directly to Twitter for maximum exposure across various channels.